Orginally Opalescent Maroon with Beige trim and manufactured on October 12 1963. 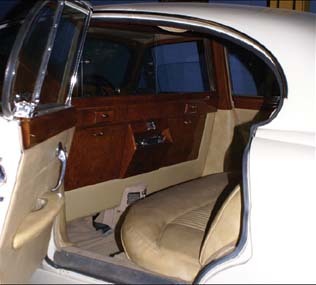 Retained by Jaguar and fitted with the Partition and Pye Radio prior to being used by Sir William. Used only sparingly for weddings since it is registered and in immaculate condition.